This special patrons’ group at SITE provides members with exclusive entrée to intimate tours of personal art collections and artists’ studios, advance viewing of all SITE exhibitions with participating artists, select social events, and special travel opportunities. (Past trips have included domestic destinations like Detroit, Los Angeles, Portland, and Palm Springs. International destinations have included Cuba, Columbia, Peru, Norway, Finland, and Russia). 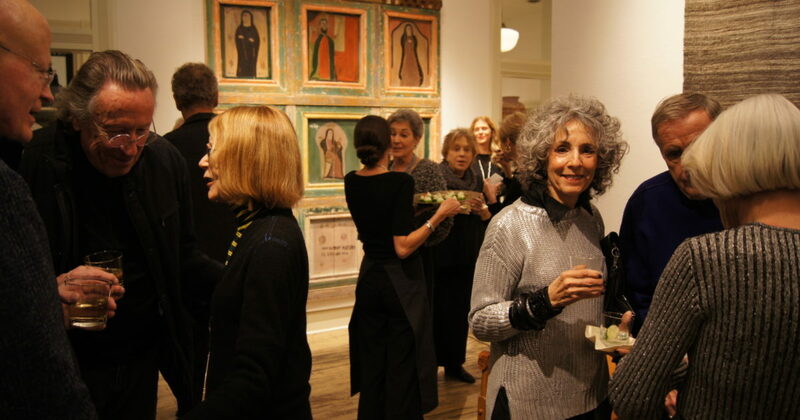 The Council is unique among art groups in Santa Fe, offering monthly programs tailored exclusively to a group of individuals who are keenly interested in contemporary art and cultural affairs. With frequent programs, you can be as involved as you choose. The annual contribution is $2,500 and is 100% tax deductible. A complimentary membership is included. If joining the Foundation Council may be the right fit for you, please use this form to request more information.